Today, crystal singing bowls are used by people around the world as part of an overall practice of gaining better health and wellness. 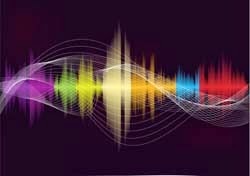 Sound has long been recognized as important for inner tranquility and proper alignment of the human spirit. 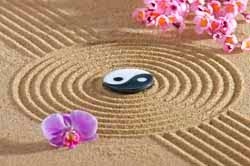 It is also important for avoiding ills and healing physical health, so is not limited only to its spiritual, emotional and mental health advantages. There are a number of singing bowls made of a variety of materials available on the market today. 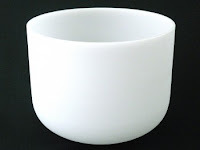 However, there are advantages to your choosing a meditation singing bowl made only of pure quartz crystal. Pure quartz crystal emits an expansive magnification of vibration, better replicating the greater vibration of the entire universe, bringing to focus the impact sound can have. In addition, the crystal structure of the bowls is more similar to the crystal structure of cells found in the human body, another reason these bowls are more effective as healing and meditation instruments. This is why all crystal healing bowls from The OM Shoppe are made of 99.99 percent pure quartz. These bowls provide a pure and powerful sound that resonates deep into the far reaches of your body, affecting the body's energy centers known as chakras. If you are new to using crystal singing bowls, you may have been unaware that different bowls make different sounds. So in addition to making your initial decision to choose pure crystal singing bowls over bowls made of other materials, you need also choose the tone of the bowl or bowls you wish to use. Each crystal singing bowl is tuned to a specific note on the musical scale. This tone, in turn, relates to a specific chakra. The use of crystal--rather than other materials--also allows for better preciseness of tone. Choosing which bowl to use comes down to assessing your own health. When you are going through ill physical health or emotional difficulties, it also means one or more chakras in your body is vibrating out of balance. This "out-of-sync" feeling is not imagined, but caused by the tone being out of alignment. It is also compromising your physical, mental or emotional health, depending on the affected chakras. By browsing the crystal singing bowls available, you can select the bowl and sound which relates most closely to the chakra representing the particular health or emotional issue troubling you. 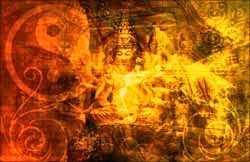 Singing bowls are widely known as one of the most effective ways to realign chakras and contribute to better health. Choosing singing bowls made of pure quartz crystal and then selecting the tone that best represents the health issues troubling you, can put you back on the road to overall wellness and improved spirituality. Regular use of your singing bowl, through daily meditation, can help safeguard against future ills.